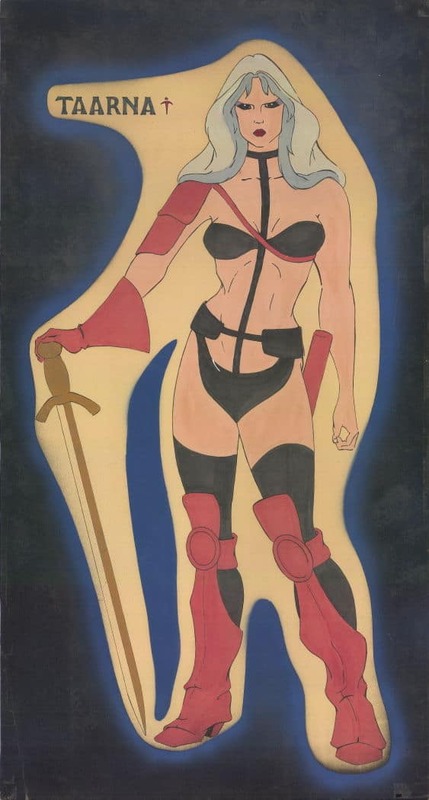 Painted sketch with airbrushing that I made in 1982. A small black and white version appeared in Carl Macek's book, The Art of Heavy Metal: Animation for the Eighties (New York Zoetrope, 1981). The poster-sized original illustration has suffered somewhat from the effects of time.